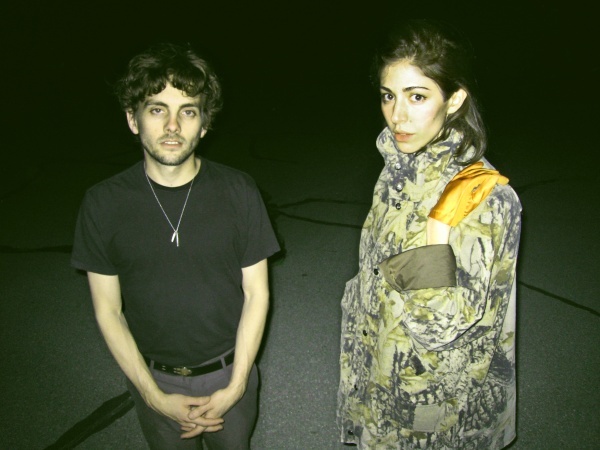 The latest album from Chairlift, Something sees the band moving forward in a big way. They've taken the lessons they learned on previous releases and expanded upon their ideas considerably. Instead of being cooped up in traditional studios, recording all night they took a more guerilla approach. Recording in the back of an antique store, doing vocals in the back seat of a moving car and generally spending more hours in daylight. The result is a much more expansive sound, with songs that sound bigger than Chairlift has ever sounded in the past. They will be back in Austin tomorrow night playing at the Mohawk. I know Tuesday isn't necessarily an ideal night to head downtown for a show but look at the bright points. First of all, you won't have to feed a parking meter, also since the show is on the outside stage it will be done early enough so you can get some rest before heading to the office early on Wednesday. Also, isn't living in Austin all about going to see an awesome band on a Tuesday night? Hopefully, you see my side of thing, which means you're going to grab some tickets and meet me at the Mohawk tomorrow night. Playing the support slot for Chairlift tomorrow night will be Nite Jewel. Their latest release, One Second of Love, is a moody, dark, 80's-inspired, electro-pop masterpiece. The title track will be trapped in your brain for days after you hear it and I'm hoping they deliver in the live show department. Arrive early if you want to found out. Speaking of moody, dark, 80's-inspired, electro-pop, stick around after Chairlift for Austin's-own Love Inks on the inside stage.